Uttar Pradesh Assembly election date is announced. The country's most populous state, will see polling in Seven Phases spread over Feb 4, 8, 11, 15, 19, 23 and 28. Elections will be held to the Goa, Manipur, Punjab, Uttar Pradesh and Uttarakhand assemblies between Jan 28 and March 3, 2012, and votes will be counted March 4, it was announced Saturday. It will be the biggest test for political parties in the country since Assam, West Bengal, Tamil Nadu, Puducherry and Kerala went to the polls in April-May this year. Chief Election Commissioner S.Y. Qureshi told media persons that while balloting in Uttar Pradesh will be spread over seven phases, the other four states will have a single-day voting. The elections will kick off from Manipur Jan 28, followed by Punjab and Uttarakhand on Jan 30. 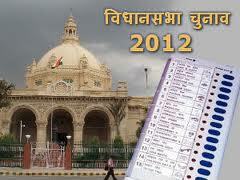 Uttar Pradesh, the country's most populous state, will see polling spread over Feb 4, 8, 11, 15, 19, 23 and 28. Goa will go to polls March 3.